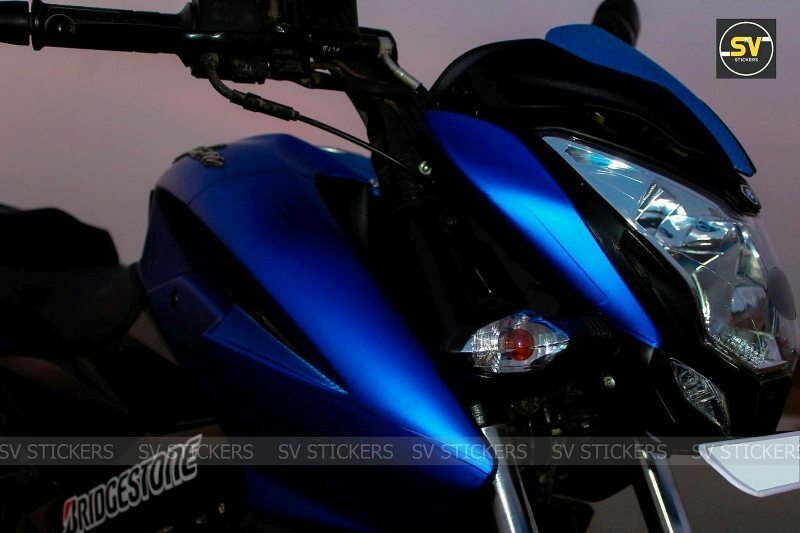 SV Stickers have the ability to turn anything ordinary into a head turner. 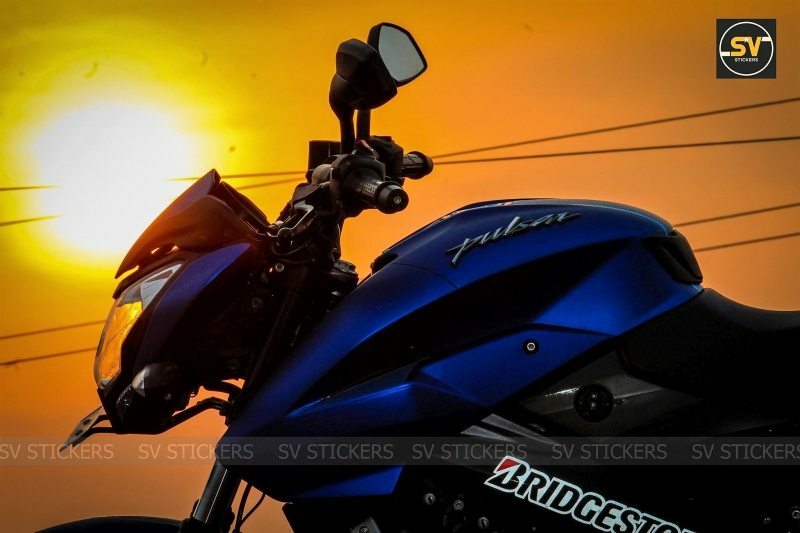 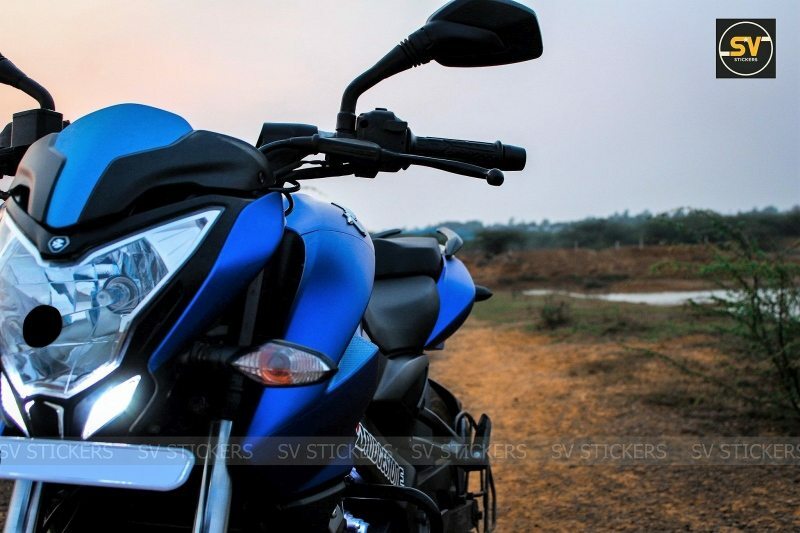 The same story was seen through this extremely beautiful Bajaj Pulsar NS200 Metallic Blue Edition. 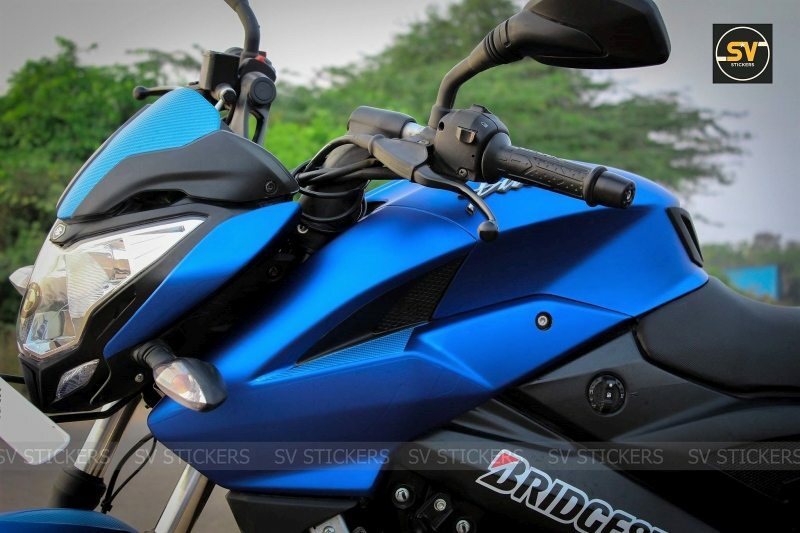 They have dedicatedly wrapped the motorcycle in this mouth watering shade and without any doubt, it stands ahead of any available stock shade on the motorcycle. 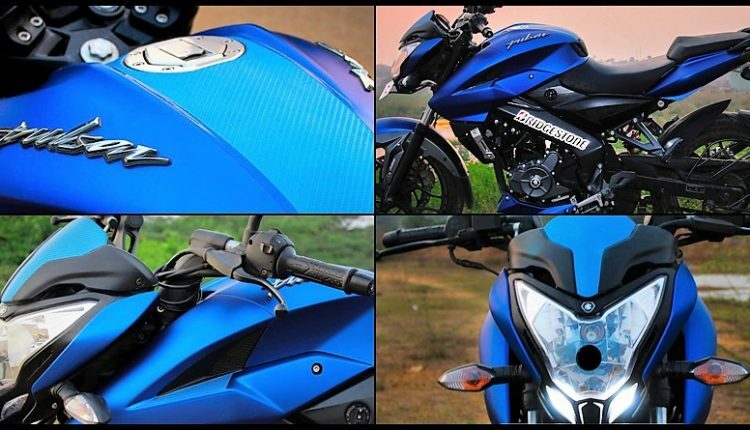 The vibrant shade further highlights how no sticker use can still help a motorcycle look better than the oddly highlighted patterns. 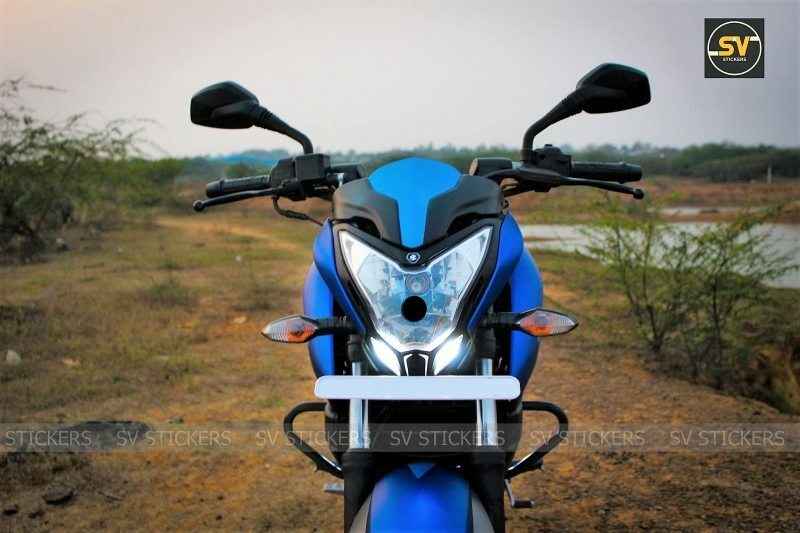 Not just that, they took the excitement to next level through faux blue carbon fiber print running through the center of fuel tank and front fascia. 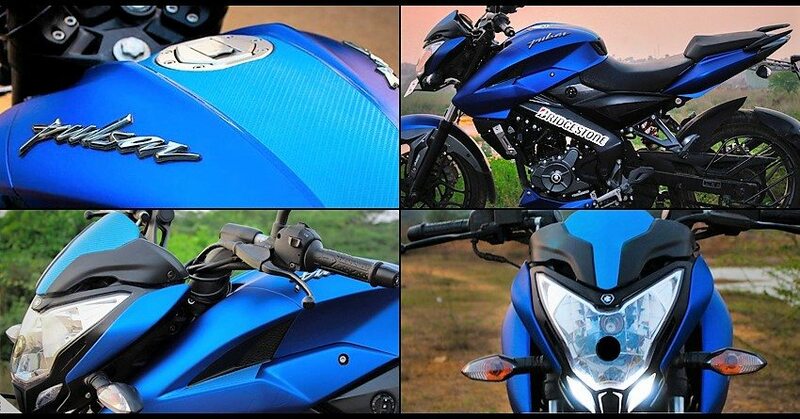 Corners of front fender are wrapped in a different shade for perfect side look contrast. 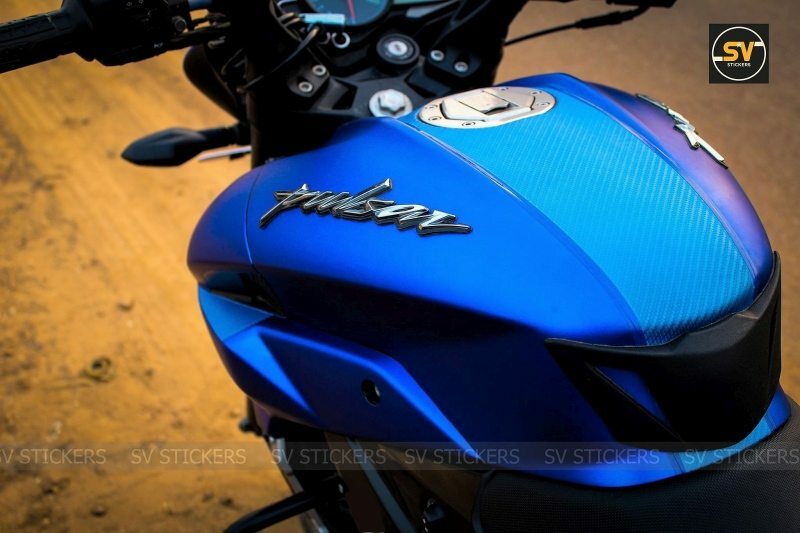 Apart from this beautiful wrap on every possible motorcycle part, no mechanical changes were made to the Bajaj Pulsar NS200. 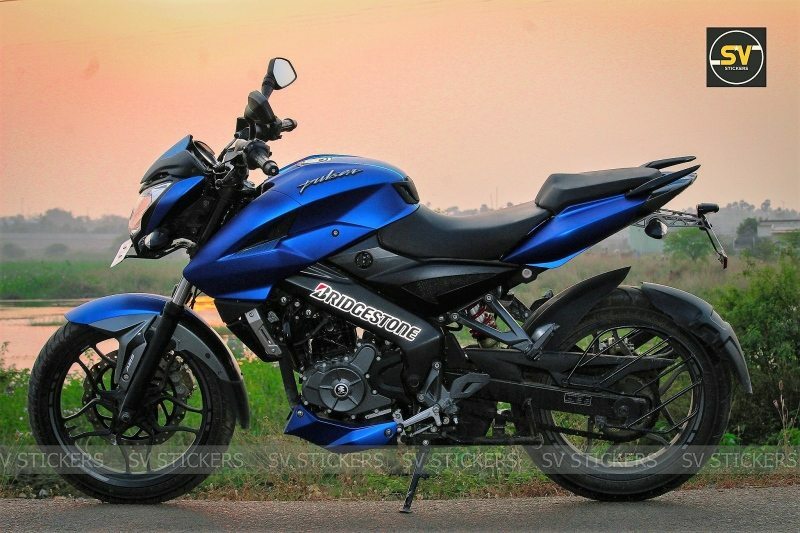 The motorcycle is powered by a 199.5cc, single cylinder engine producing 23.17 BHP and 18.3 Nm of torque.